I’ve always been part of a family that loves tennis. I remember my mum rushing me home from brownies one day because Tim Henman was doing well and he might reach the quarter finals. So I guess it made sense that when I worked at a radio station in China, they sent me off for ten days to report on the Shanghai Rolex Masters. And now ever since catching live tennis for the first time, i’ve been hooked. Having never actually visited before, I knew that this year it was time to visit Wimbledon which will forever now be known as the Disneyland of tennis. Because, well it is. As my mum was in town we decided to try and give it a go visiting after work on the second day of the tournament. We took the tube to Southfields station and followed the signs all the way to the Queue. When we got there it was literally chucking it down with rain and being the insanely British person that I am, I did not have an umbrella on me. We queued for about ten minutes until we were let in and told that there were some tickets left for the match on centre court. 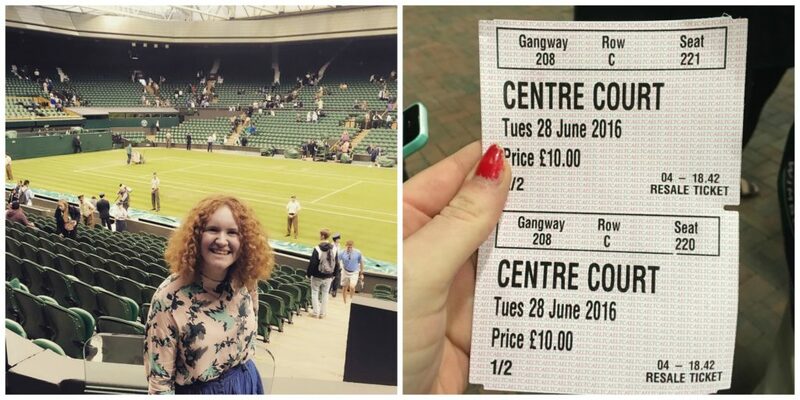 So after paying our £5 ground entry pass (it was cheaper because of the rain and the time we had arrived) we headed over to the ticket resale booth and purchased two tickets for Centre Court at £10 each – couldn’t believe how much of a bargain it was! And to top it off, the seats were incredible! We got to see Coco Vandeweghe play Kateryna Bondarenko and funnily enough some family members caught a glimpse of us on the tv. Bet that must have been a shock. Although we only saw one match, I personally thought it was a bit of a bargain for a tenner. 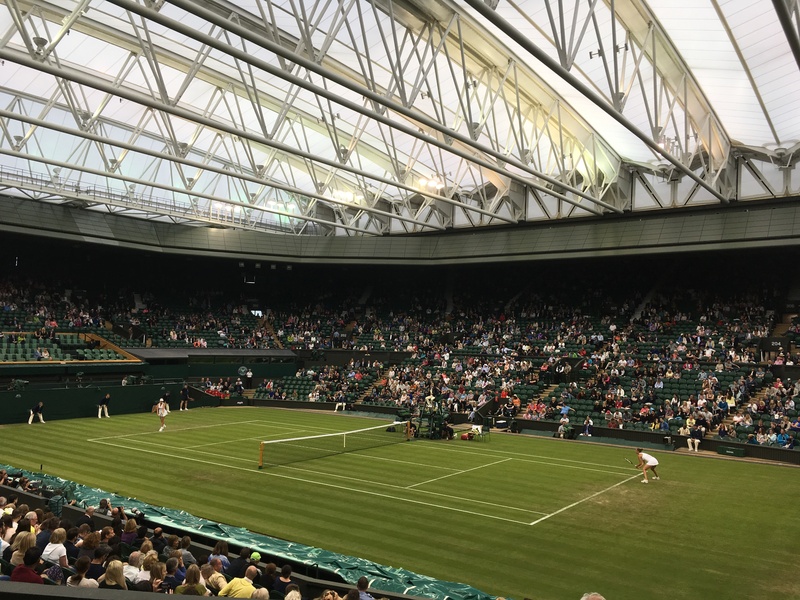 It meant that I got to tick one thing off the London bucket list and finally get into Centre Court although it did make me want to come back for more. Of course no trip to Wimbledon would be without making a trip to the Wimbledon shop. Unfortunately, everything was appealing. Some money was spent but I couldn’t help buying this jumper even if I have to eat rice for the next week because it’s just so cool! I promise I will get as much use of it as possible! I can’t get enough of this year’s tournament, everything is so exciting especially now that Djokovic is out which makes the lead up to the finals even moe thrilling. Of course I will be rooting for Murray but I wouldn’t mind a Murray v Federer final. We’ll see! And as for you Wimbledon – getting my envelopes ready for the ballot as we speak! "Becoming a Wok Star at School of Wok"